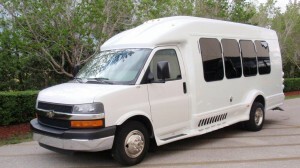 Turtle Top Van Terra - British Motor Coach, Inc. 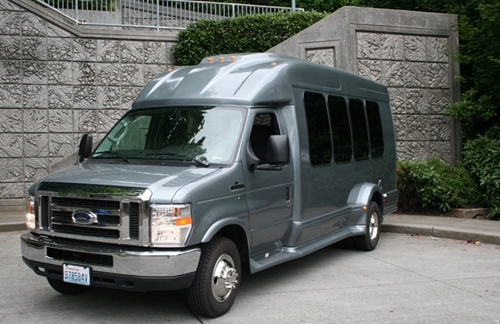 The Van Terra shuttle bus showcases both strength and versatility. 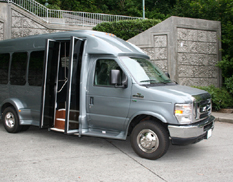 All types of passengers, including senior living agencies, find it easy to enter and exit with ample headroom and aisle passage. 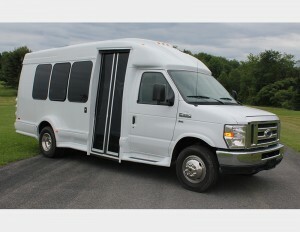 It is a great alternative to the standard 15-passenger van. The Van Terra maneuvers like a van but has the stability of a dual rear wheel bus. Extended rear wheel stance with a full roll cage, quality construction, and sleek styling make this the most affordable and practical choice for safe dependable transportation. 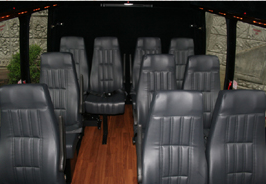 From the early days of British Motor Coach way back in 1987, we were determined to focus entirely on one very specific segment of the transportation business we felt we could best serve and build upon over the years. For quotes & new reservations, please click here. © 2018 British Motor Coach, Inc. All Rights Reserved. | Site Developed & Maintained by Distinity Technologies.